We invite you to experience the array of professional hairstyling services and day spa treatments we offer our clients at Panache Salon in Erie, PA. From professional haircuts and specialty salon treatments, there is something for everyone to enjoy. 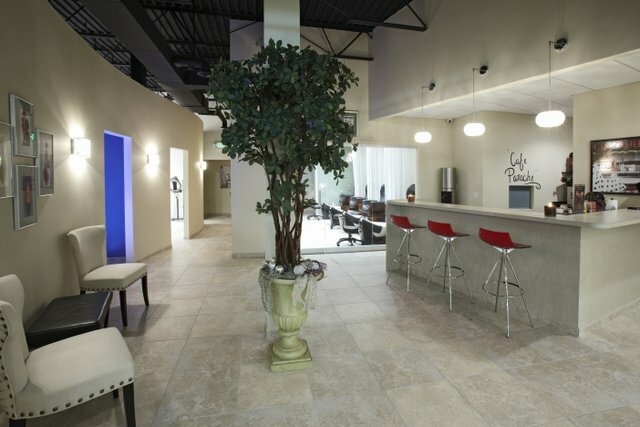 The team at Panache Salon believes in delivering world-class customer care each and every day. Our passion and training sets us apart as your hair salon and day spa of choice. Receive a warm welcome, a beverage to quench thirst, a thorough “chat” or consultation, the best in educated hair stylists and salon technicians as well as guidance on how to best recreate the same look at home. Panache Salon offers the most specialized professional hairstyling services and specialty salon treatments in Erie, PA. All of our talented, professional hairstylists are certified in advanced hairstyling and hair design artistry as well as provide an unmatched level of service. Whether you would like a traditional and timeless haircut or a brand new hairstyle with dimensional color, we have the professional hairstyling talent to give you the perfect look. Panache Salon also offers a variety of day spa treatments and massage therapy services to help you relieve stress and reveal true beauty. From replenishing facials and skin treatments to relaxing massages and complete natural nail services. Panache Salon only uses state-of-the-art equipment and offers the very best in beauty products to ensure you get the most from your day spa visit in Erie, PA. Leave your cares behind and indulge the way you deserve to.